It’s the New West Cultural Crawl weekend! Besides the various exhibiting venues in the Uptown neighbourhood, we are continuing to present free live music to you! 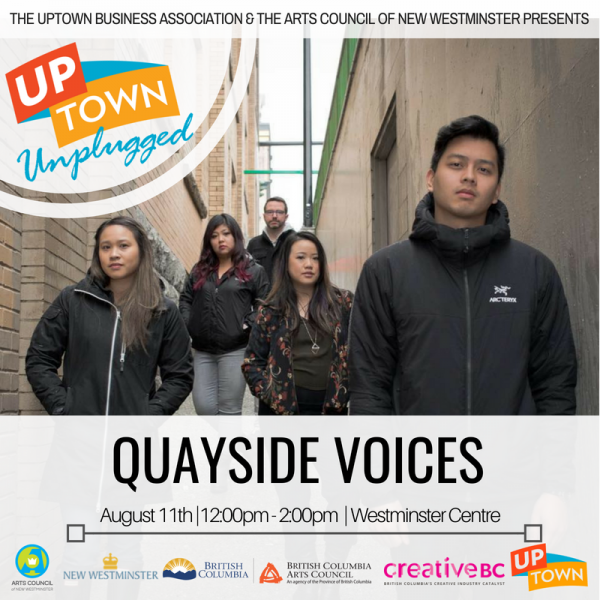 On Saturday, enjoy the premieum acapella group of New West – Quayside Voices! 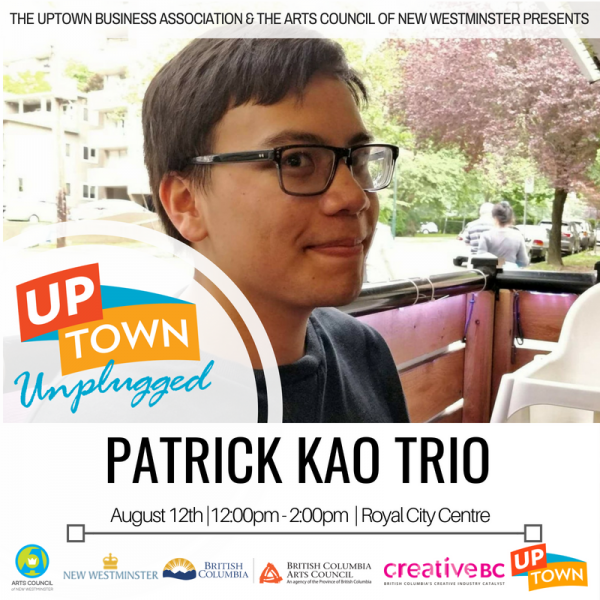 On Sunday, emerging local young guitarist Patrick Kao is assembling a jazz quartet right in front of Royal City Centre!